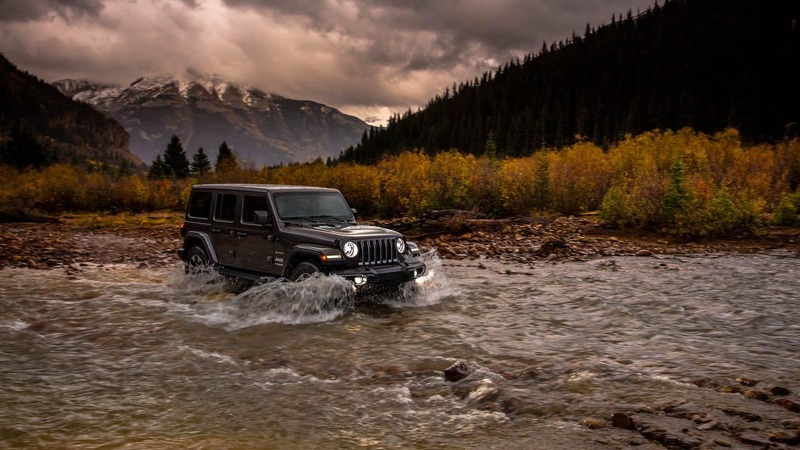 There is nothing that the Wrangler Unlimited cannot do! Whether you are looking for a snazzy yet classic on-road traveler or an off-road dominating machine the new 2018 Jeep Wrangler Unlimited is the one for you! Mastering the perfect cohesion of modern technology and comfort with the iconic Wrangler form and capabilities, this model is the best yet. There are so many new things to talk about for the 2018 model year because this Wrangler is basically brand new! New enhancements include an easier to lower windshield, an updated powertrain lineup, and an entirely new interior. 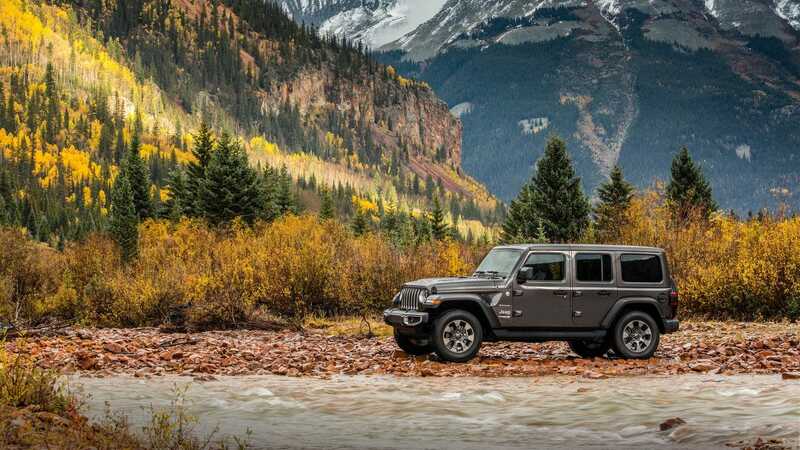 Keep reading to learn more about the 2018 Jeep Wrangler Unlimited and everything that it has to offer below! 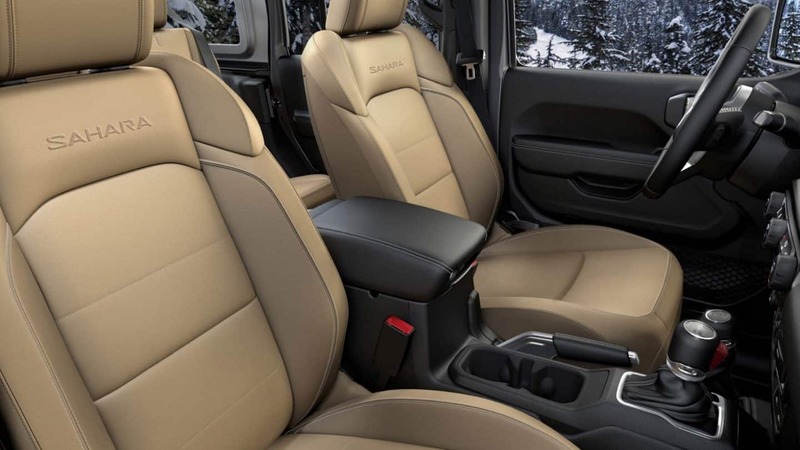 What kind of features does the Wrangler Unlimited offer? Keeping the classic Wrangler look, this five-passenger four-door model is offered in a total of four trim levels. Standard features include keyless entry, 17-inch steel wheels, fog lights, a tilt and telescoping steering wheel, manual mirrors and locks, tow hooks, a full-size spare tire, a height-adjustable driver's seat, a fold-down windshield, cloth upholstery, removable full metal doors, crank windows, cruise control, keyless entry, Bluetooth connectivity, a CD player, auxiliary and USB audio inputs, a rearview camera, a five-inch touchscreen interface, a rear seat with 60/40 split folding, and an eight-speaker sound system. Higher trim levels come equipped with features like automatic headlights, sun visors with vanity mirrors, LED headlights and foglights, a larger 7" touchscreen, smartphone integration, and additional USB ports! The top-of-the-line Rubicon model comes outfitted with more off-roading geared features like heavy-duty front and rear axles, rock rails, off-roading tires, electronic front and rear locking differentials, and so much more! What kind of engine options does the Wrangler Unlimited offer? There are two powertrain options for the 2018 Jeep Wrangler Unlimited models. The first engine available to choose from is the esteemed 3.6-liter Pentastar V6. This engine can be paired with eight-speed automatic or six-speed manual transmission. No matter the match this powertrain deploys 285 horsepower and 260 pound-feet of torque! Fun fact: the 2018 Wrangler offers the only Pentastar engine/manual powertrain combination on the market today! The EPA gives this engine an estimated city/highway fuel economy of 18/23 miles per gallon with the automatic transmission. With the manual, you can get 17/25 miles per gallon. The second engine option available for this new model year is the 2.0-liter turbo 4-cylinder that is mated to the automatic eight-speed transmission. This powertrain duo generates 268 horsepower and 295 pound-feet of torque. We cannot forget the incredible off-roading equipment the Wrangler Unlimited offers! There are two 4x4 systems -- Selec-Trac and Command-Trac for the lower trim levels while the Rubicon comes with the Rock-Trac 4x4 system as standard. Can you tell us about the Wrangler Unlimited's safety features? While you're out exploring the world, the Wrangler Unlimited has your back with the latest and most advanced active and passive safety and security features! Stand out features include high-strength steel body with high-strength steel beams that enhance the SUV's side-impact performance and overall vehicle stiffness, the newly constructed sport bar that blends right in with the rest of the body, and hill start assist. Standard features for the 2018 model year, the ParkView rearview camera, advanced airbags, electronic stability control, Keyless Go, a theft deterrent system, traction control, Keyless Go, a front passenger seat belt alert, a Hydraulic Assist Brake Booster, and more! Available features you may find on higher trim levels include remote keyless entry, a remote engine start system, a security alarm, and so much more! 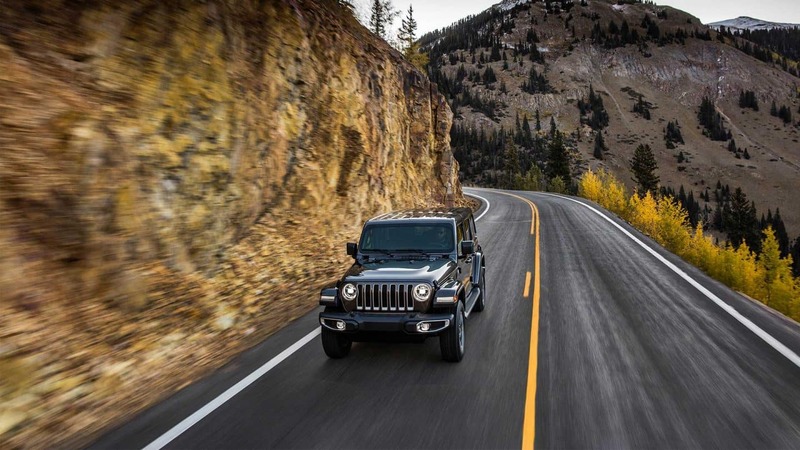 The 2018 Jeep Wrangler Unlimited model is beyond incredible, offering something for everyone from superior on-road driving comfort to off-roading prowess! 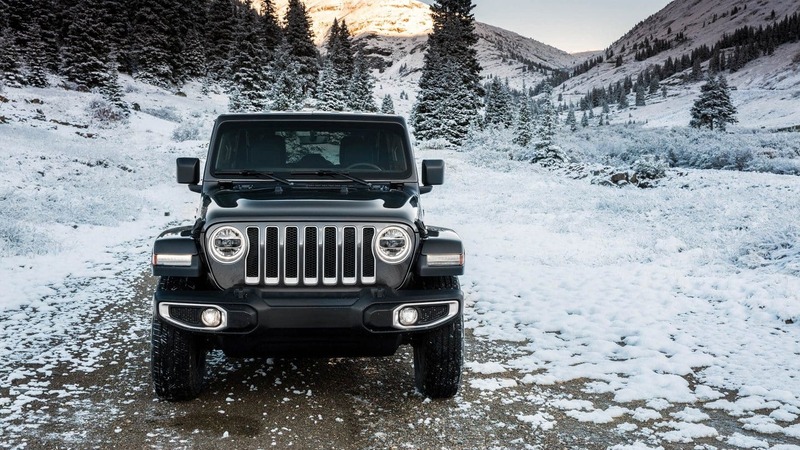 With so many incredible trim levels and an immense list of amazing features, we know that your perfect Wrangler Unlimited model is on our lot! Come on down today to check them all out and even take a test drive too! Have any more questions about this Jeep? You can fill out the provided contact form below or give our sales team a call (440) 462-1843!